베니스, 이탈리아의 호텔 에어원 | 호스텔월드에서 예약하세요. 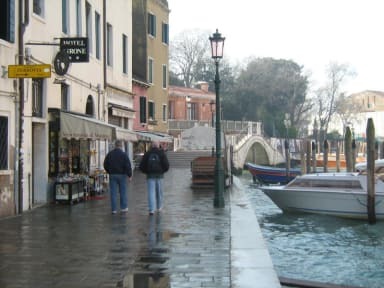 Historical center of Venice. The Hotel Airone is overlooking on to the 'Canal Grande'. All our room are private. 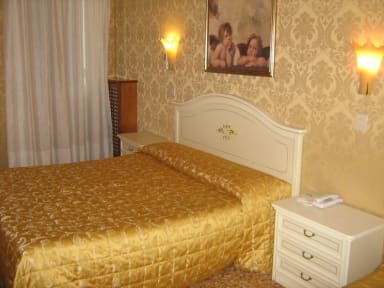 Our 13 comfortable and clean rooms provide you with a professional service that will make your stay even more special. Some of our rooms have the view on the Canal and the rest of the rooms on a lovely and quiet garden. All rooms come with television. With a small extra on the rate, you can taste our typical continental breakfast (not included in the room price). We are located in a very convenient position with a competitive price.